We’ve extensively covered it and we’ve already driven it (well, around the Tagaytay Highlands at least), but now Honda Cars Philippines (HCPI) is giving you the best bit of good news: the all-new BR-V is finally here! After a lengthy weight, the first batch of Honda’s 7-seater crossover is finally being turned over to customers starting today. And commemorating this event, HCPI is actually hosting festive Open House events at all its dealerships while adding two new variants to the BR-V. This brings the total line-up count of the BR-V to four. It must be remembered that the all-new Honda BR-V is the country’s most affordable 7-seater SUV with a retail price that starts at just P 989,000. 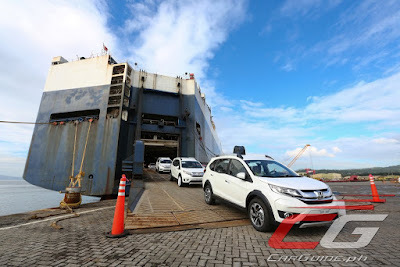 According to Honda, the BR-V “has already captured the Filipino families’ taste and interest thanks to its commanding exterior, modern and expansive interior, and dynamic driving performance”. See the all-new BR-V for yourselves at all Honda Cars dealers nationwide. Meh, I'd sooner choose a Subaru XV crossover than the BR-V.
Sa tagalog, matagal na paghihintay. But is it worth the wait? I think the Juke is still undoubtedly the head turner in this segment. The Juke looks like a joke, pun intended.